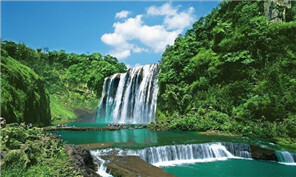 A delegation of leading figures from China's big data industry were given a tour of Guizhou province from Feb 4 to 5. A springtime view of a village of Dong people. Famers have begun to pick tea leaves in Pu'an county, Southwest China's Guizhou province. To celebrate the Start of Spring, the first solar phase of the Lunar New Year, members of Congjiang county’s Miao ethnic group performed the lusheng dance. A company based in the province of Guizhou said it has invested 30 million yuan ($4.37 million) in 11 Indian projects to improve key infrastructure in the southeastern state of Andhra Pradesh. 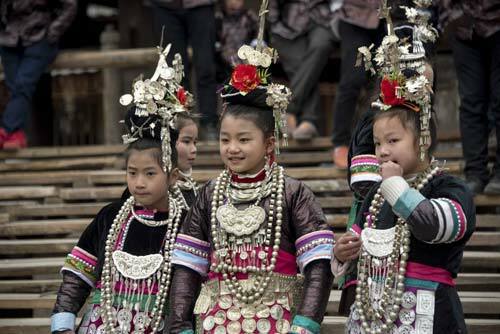 People from the Dong ethnic group gathered in Guizhou’s Congjiang county to take part in the Dong Chorus, a traditional singing performance, on Feb 2. 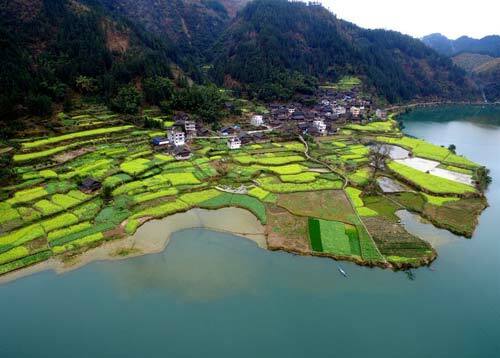 In conjunction with World Wetlands Day on Feb 2, Guiyang, capital of Guizhou province, announced its latest achievements in wetland protection.